I didn’t follow Giada’s recipe, who needs one! First I decided to add some orange zest to the ricotta since Sean picked out a bag of oranges at the store recently. Citrus and ricotta go together so well. Then I decided if I was going to go with orange I would pair it with cardamom. Every time we visit my parents in the mountains the boys “have” to go to the bakery and get their favorite orange cardamom roll. Of course I had to have some dark chocolate to go over all this. I just love dark chocolate and orange together. Even better, I was able to source my favorite orange dark chocolate locally. This doesn’t require much work. Simply add some honey, cardamom and orange zest to the ricotta. 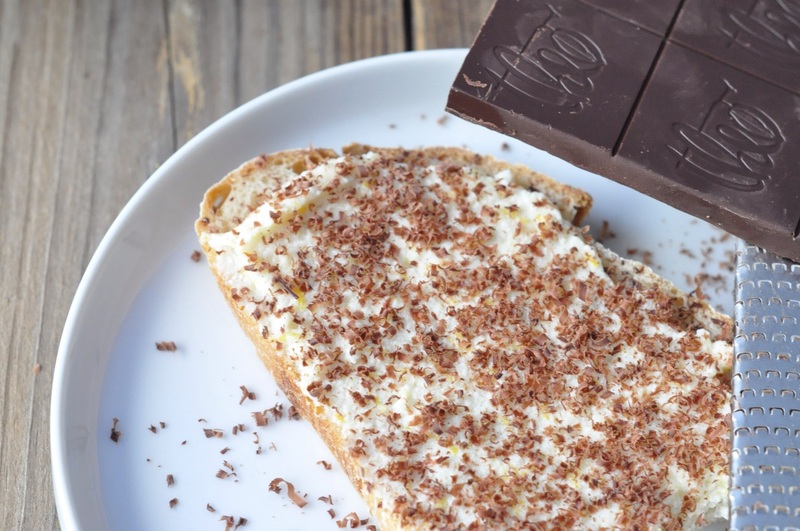 Schmear it on some toast and grate dark chocolate on top. 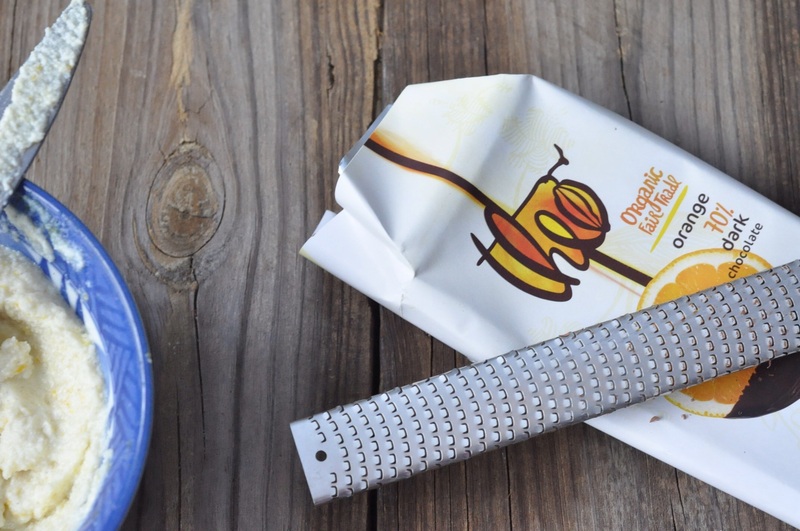 It’s great for breakfast or brunch. We had it as an after school snack. I’d like to say it was a huge hit, but honestly it wasn’t. That’s only because Sean and Jack don’t like ricotta. I keep trying, but they still don’t like it. Instead they licked the chocolate off the top and asked for another snack! Ewan, however, loved it and ate his brothers’ share too! Mix the ricotta, cardamom, orange zest and honey until combined. 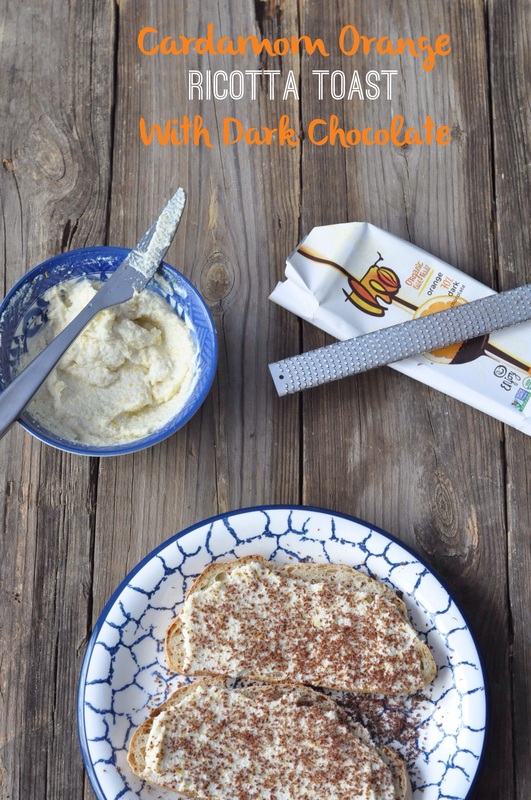 Spread liberally on toast and grate chocolate on top. 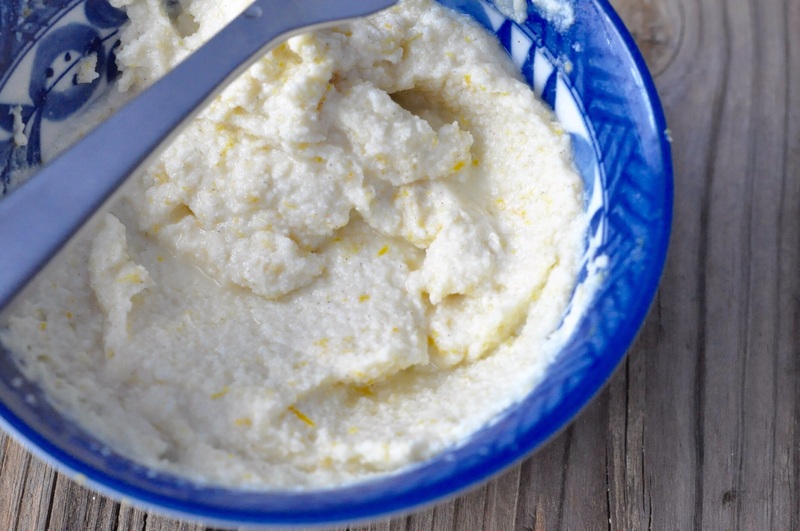 Tip: The flavored ricotta will store well in the fridge, no need to make it all at once! The other two boys were quick to eat the unwanted piece! Thanks. It was a nice change of pace. The boys have been known to get stuck in a breakfast rut. Thanks Emma. It was quite delicious. The other boys were all over Jack’s unwanted toast! Nothing goes to waste here with three boys! I’ve never watched Giada in Italy but the toast sounds delicious and I do love cardamon too. It’s one of my favourite spices. I usually add the powder to doughnuts or other sweet treats and I just love the smell. It’s awesome. 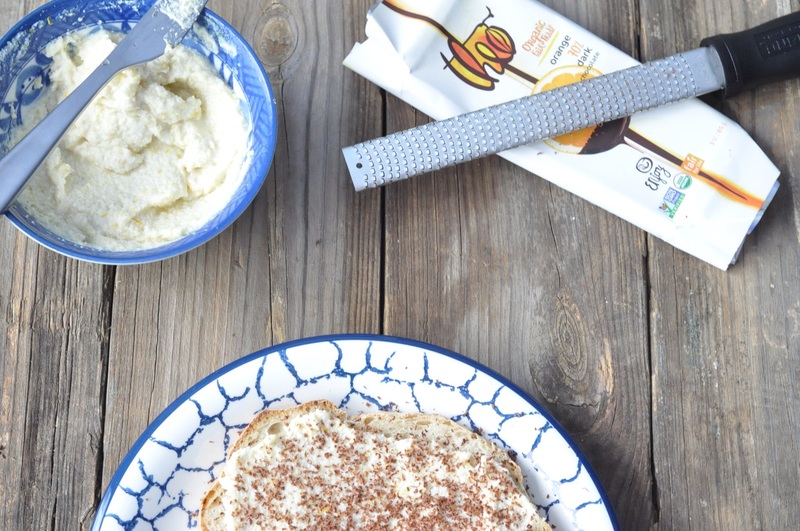 The addition of honey and chocolate makes the toast even better! The boys do love cardamom, nutmeg too. All I have to do is tell them I’m using it and they will try anything! Of course this time it didn’t work since Jack doesn’t like ricotta. At least he tried it again. Ricotta is not very flavourful but the addition of honey and orange zest is a great addition and of course the cardamom.